Create a comfortable outdoor spot with all-new Ohana 3 piece Rocking Chair Bistro Set. With fresh modern take on a classic rocker, this rocking chair set provides the perfect spot for coffee, reading or winding down after a long day. 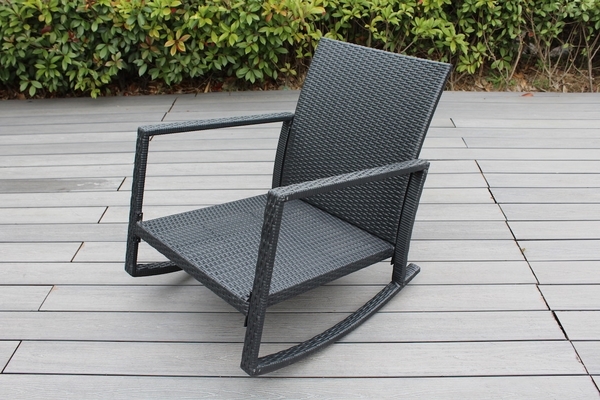 Ideal for patio, porch or sunroom, the chair is handwoven with all-weather wicker around powder-coated aluminum frame for all-season use. 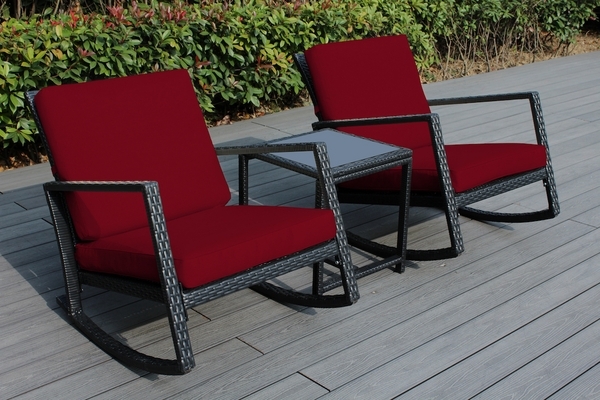 Comfortable seat and back cushions are upholstered with weather resistant fabric and can be easily removed for cleaning. With easy assembly, you'll be having a rocking good time in no time! 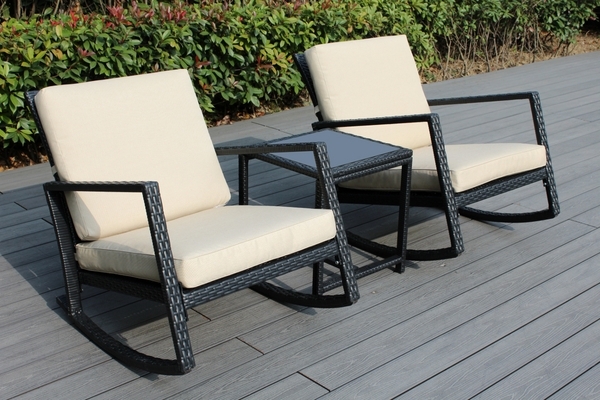 Contemporary & comfortable rocking chair set includes 2 rocking chairs with 1 side table topped with tempered glass. 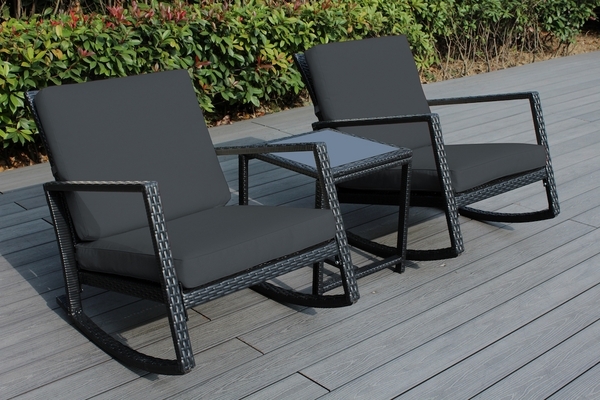 Handwoven all-weather black resin wicker is weather resistant and perfect for outdoors. 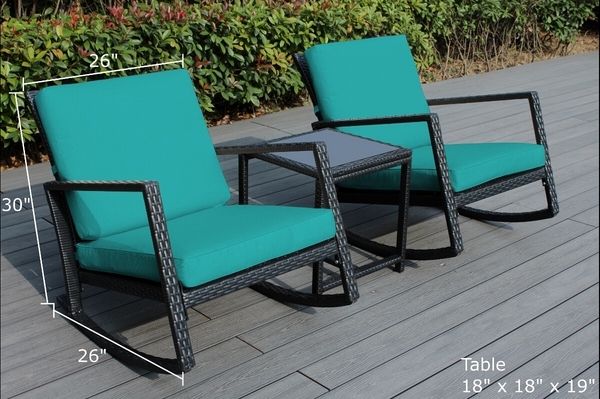 Durable aluminum frame provide structural support while thick cushions provide comfort for easy lounging. Thick cushions are water, UV and fade resistant and zippered for easy cleaning. Quick assembly is all you need to start enjoying right away. Tools are included.